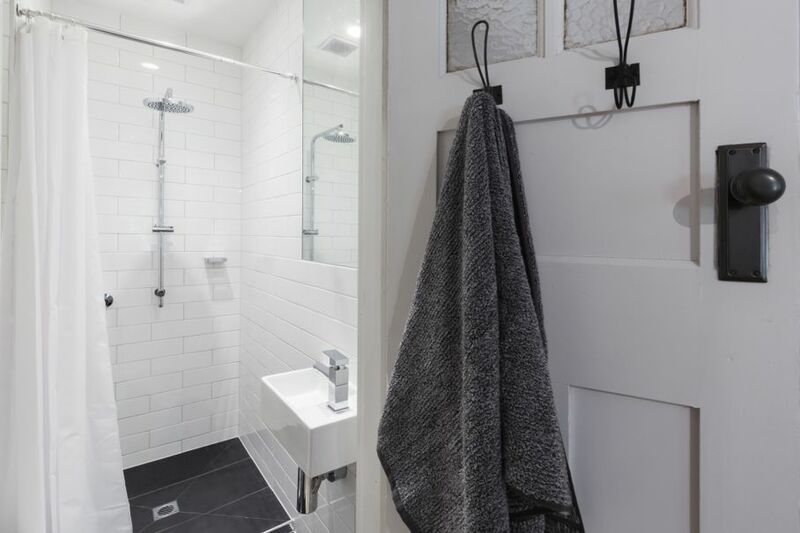 Even the tiniest bathroom harbors little gems of unused space that can be turned into a clever storage area for life’s essentials. 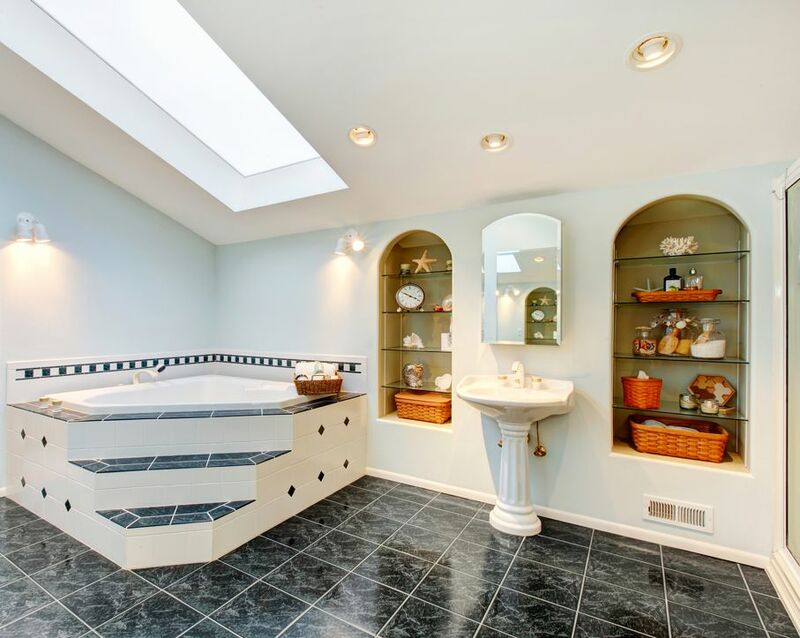 Ah, the bathroom – it’s second only to the kitchen as the highest traffic area in the home, although typically much smaller. 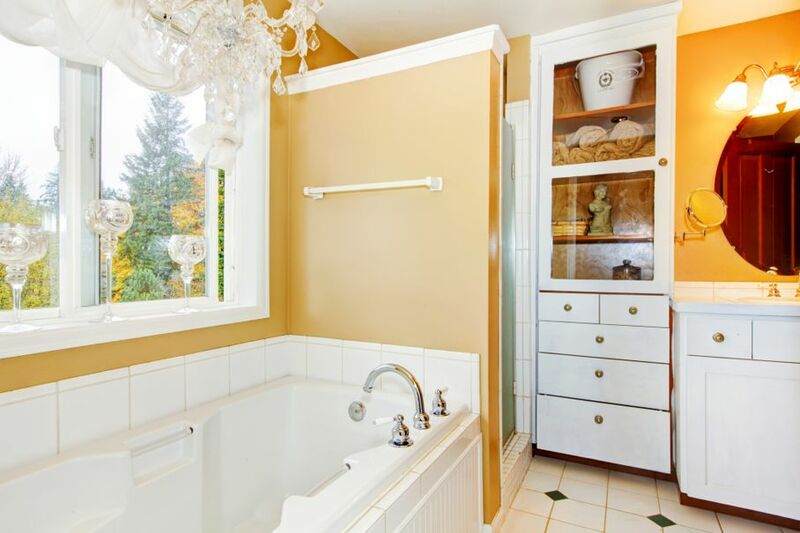 It seems there’s never enough room for all of the hygiene products, towels, paper goods, and other items competing for a valuable real estate, and often only one little medicine cabinet to offer refuge. Getting creative gives you additional storage and can even add a decorative element to this cramped space. Turn your pedestal sink into a mini closet. 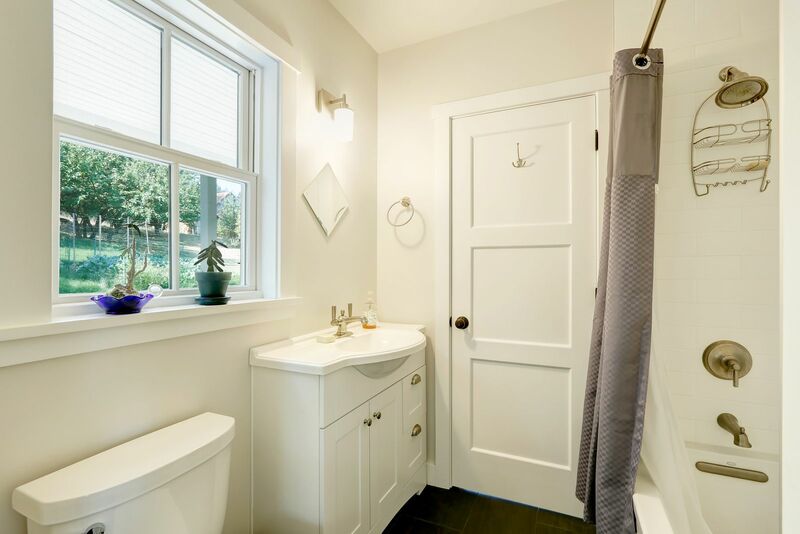 This oft wasted square footage transforms into a cozy little spot for toilet paper rolls, cleaning products, and the essential – but unattractive – plunger. Just add a sink skirt in a pattern or color that complements your décor theme and voila! Instant bathroom storage. Alternatively, stacking baskets or boxes with lids makes for a handy and attractive way to store towels instead of a linen closet. Tuck them under the sink or to the side of the toilet if there’s enough room. Custom narrow shelving adds functionality and style to that wall that just doesn’t seem to have any use. Create varying sizes of compartments and enjoy the perfect cubbies for shampoo, conditioner, soap bottles, drinking cups, washcloths, and lotions. 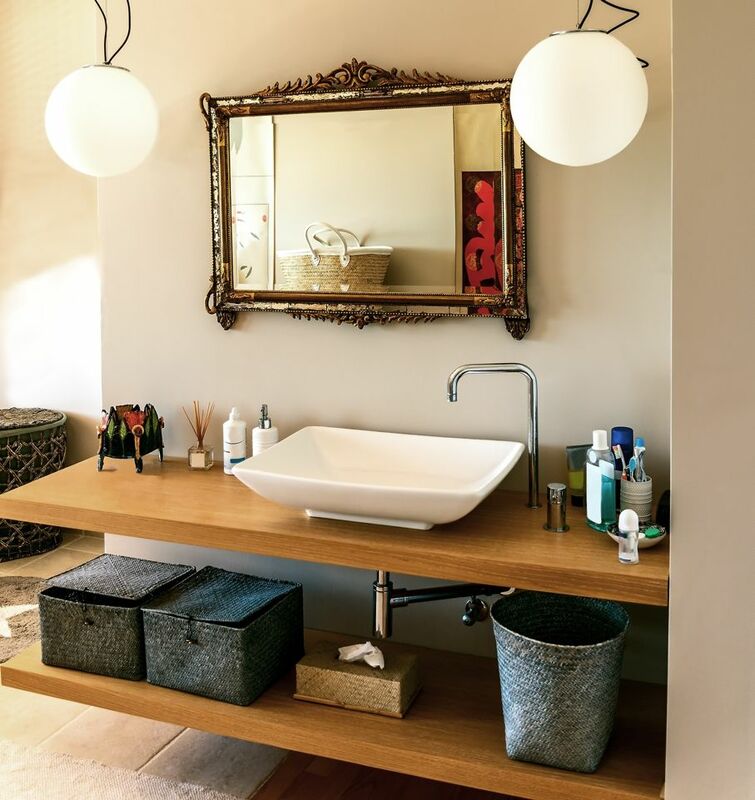 Built-in drawers utilize empty space, often around the vanity area, that would otherwise sit unused. These shallow drawers are perfect for soap bars, combs and brushes, and face cloths. 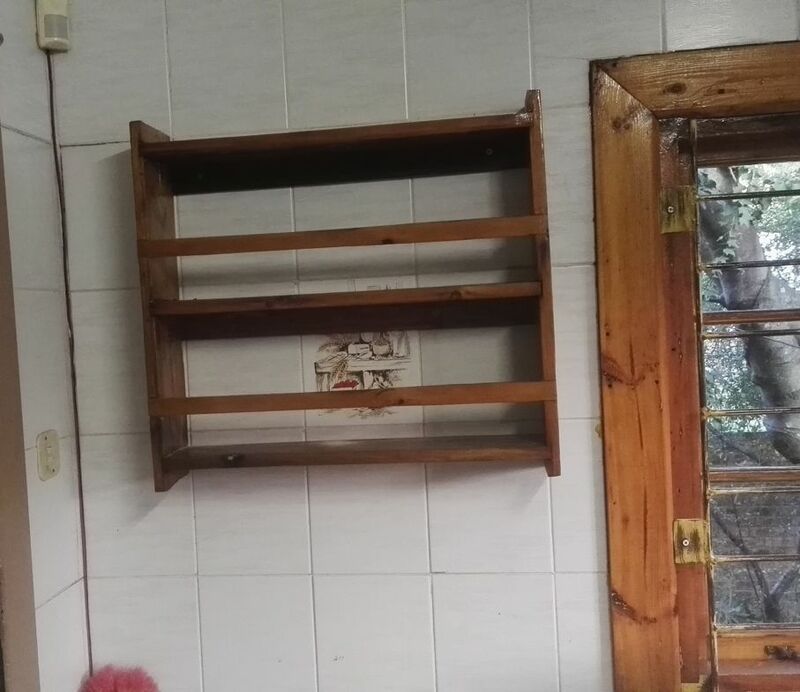 Have a narrow area of the wall that hides a gap between the studs? Turn it into a slide-out shelving unit that blends right in when closed, or create individual cubbies and camouflage them with wall art on hinges. Add small plastic containers inside to help keep those bobby pins and cotton swabs under control. The wall spaces over the toilet, next to the vanity, and often next to the bathtub make for ideal areas to hang shallow crates, wire shelving units, or a shelf with pegs to hold the many small items that are necessary for the bathroom. Rather than taking up wall space with a towel bar, hang it on the front or side of the vanity, or on the back of the door. Hooks tucked into tiny, otherwise unusable nooks on the wall make the perfect storage solution for small appliances that get daily use, like curling irons and hair dryers. You don’t have to stick to the intended purpose for an item – flat-back vases or kitchen utensil holders make the perfect little home for toothbrushes and toothpaste and can be mounted to the wall right near the sink. Spice racks and other small shelves with a guard rails may not be made specifically for makeup, but they work well to keep the wily little bottles and tubes organized. Plus, with their small size, you can usually squeeze one or two shelves in right below the mirror or to the side of the sink. For a truly innovative and unique makeup storage solution, mount sheet metal inside a frame, cover it with pretty fabric and then attach magnets to the bottoms of your containers. Everything you need will literally be right at your fingertips each morning! If you’ve got counter space to spare, visit the craft or plastic storage area of your local big box store and pick up a mini plastic drawer tower. It’s perfect for hair clips, bobby pins, ponytail holders, makeup, and earrings. Even the tiniest bathroom harbors little gems of unutilized space that can be turned into a clever storage area for life’s essentials. Reevaluate your bathroom with a fresh eye and get creative!